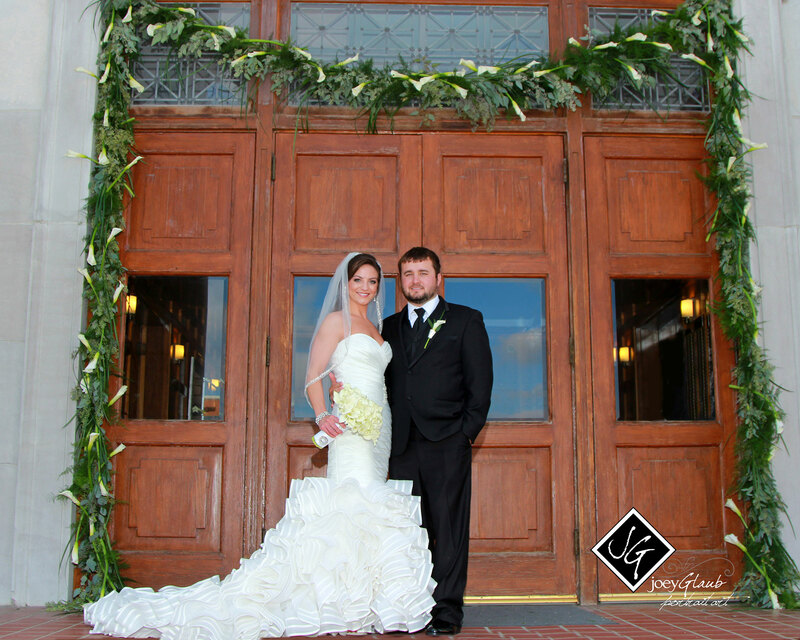 Hannah’s wedding was a sophisticated evening wedding and reception held in the beautiful historical First United Methodist Church and Church Street Station. She wanted a contemporary wedding featuring the Holland calla and sleek silver French styled vases, up lighted glass vases and grasses. The garland of sweet greens and callas greets the guests as they enter the sanctuary filled with soaring Holland callas and grasses. Hannah wanted a sophisticated clean style which was achieved with repetition of the ethereal calla designed throughout the event. This was fun! Posey Peddler created a party for an awesome 10 year old but this party could work for almost any age! 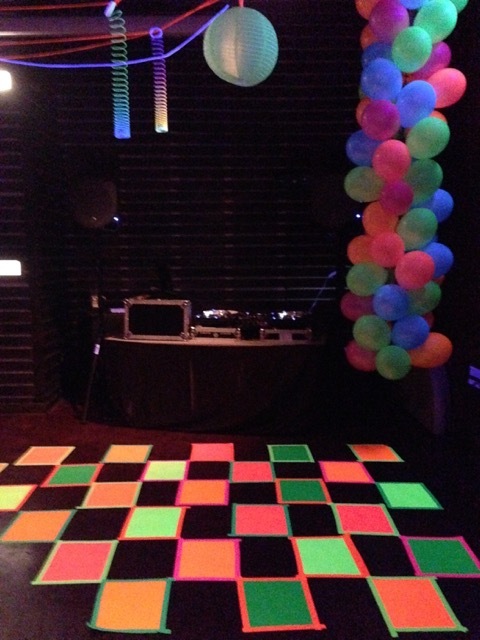 Our glow balloon columns, custom designed glow dance floor and glow tables made this party sparkle! Posey Prop House rentals provided the black lights and members of our crew even painted kid’s faces during the party. Sometimes it takes a fresh perspective to add delight back into your holidays. A fresh and professional appeal in the corporate or office setting is reflective of your company’s professional approach to everything! Let Posey Peddler designers bring a fresh approach to your holiday decorating. We can use your collections or add from ours. Limited booking. From just the tree or the entire office or home – Posey Peddler designs! Sometimes using things in unexpected ways can bring total success to any event. Our Posey Peddler Prop House wedding equipment lends itself beautifully to this haunted affair. 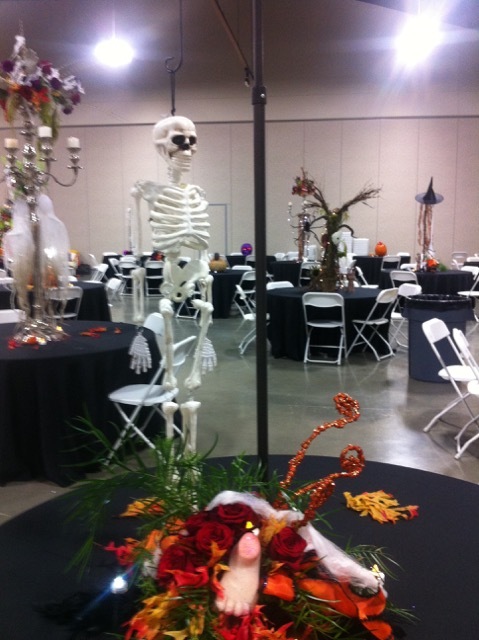 Our black table cloths and the client’s collection of Halloween items created a Bootiful party. Fresh flowers created by our creepy loving designers truly set this party apart from the ho hum ……drum! 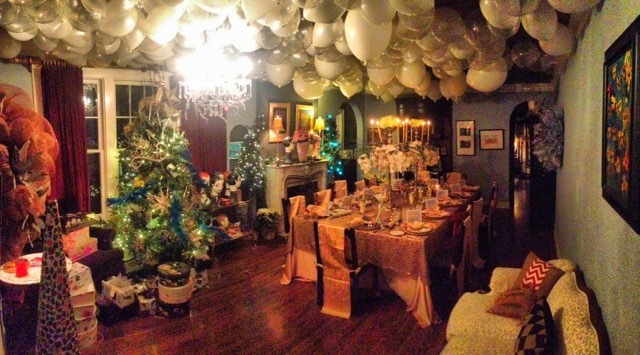 Our party themes are never ending…… let us create for you!